Shhhhhh....quiet in the studio please. Even the "outtakes" from these two are filled with sweetness. It's hot and muggy here in Kentucky, but that all changes at sunset. Sunset sessions are a favorite for many. One BIG reason, is the temperature is so much better. It cools down and sessions are comfy. And who can resist the soft, delicate light that dances across the field? It's full of amazing color that simply cannot be captured any other time of day. This sunset session was perfect in every way. Hannah and Clay are celebrating their first wedding anniversary. They wanted to make sure that their portraits didn't just stop on their wedding day. Congratulations to you both. I couldn't decide on which favorite to post, so I chose a few. Looking for family portraits or maybe you are expecting and looking for a maternity and newborn photographer, I would love to hear from you and begin planning your session. Enjoy exclusive services with our clients' favorite - The Membership Collective - a series of three or four sessions for your family to document your baby's first year. A few short weeks ago, Ashley contacted me about scheduling maternity and newborn sessions. She decided to join our Membership, which is a favorite for many of our families wanting to document their little one's first year. It's a favorite for a few reasons: preferred pricing, priority scheduling, and the best part...she will receive both digital files for safe keeping and her choice of prints, framed prints, or albums. I hear time and time again how much our moms enjoy having their baby's first year of milestones documented cohesively - they don't look "pieced together" in overall style, feel, and quality. They love having portraits that can easily be grouped together in their home that keep the same overall light, airy, cozy feel. And the littles love seeing themselves in portraits with their favorite people....you. Here are just a few from Ashely's sessions. Isn't she gorgeous!?!?!?!!! You may remember a little while ago I shared Shelia's story here on the blog. Her story might be like yours or that of a friend's or family member's. After seasons of asking "why," and seasons of waiting, and seasons of wishing for baby, her big day finally arrived. This little one was hoped for, dreamed of, longed for.... for many years. For her newborn session, we made sure to document all of those incredible fresh baby details and individual photographs. But more than anything, I wanted to give Shelia and her husband portraits that in just a few short years, chubby little toddler fingers can hold them, and she can SEE how much she was loved from the very start. How much she was hoped for and cared about. How much she was wanted, and how very important she is to her mom and dad. When you schedule your session, you will always be more than just a number.... more than my 10:00am Thursday session. Your portraits are valuable. They are more than ink on paper. If you are expecting and looking for a maternity or newborn photographer, I would love to hear from you and begin planning your session. Enjoy exclusive services with our clients' favorite - The Membership Collective - a series of three or four sessions for your family to document your baby's first year. I take great pride in providing each family with quality customer care from start to finish. My promise will always be to provide you with the most beautiful photographs of the ones you love and care about the most. There's so much that I love about the studio (which is just a hop, skip, and a jump from St Matthew's Mall). It is filled with natural light that helps create beautiful, soft, airy photographs. The whitewashed floors that feel like they're straight from Magnolia Farms and the hit tv show Fixer Upper. The snack corner that moms and dads enjoy while I photograph their little one. But most of all, it's the place where the details of life are bottled up like the treasures they truly are. It's true that babies change so quickly those first few weeks. And while we hope to remember all their tiny details, we often forget. 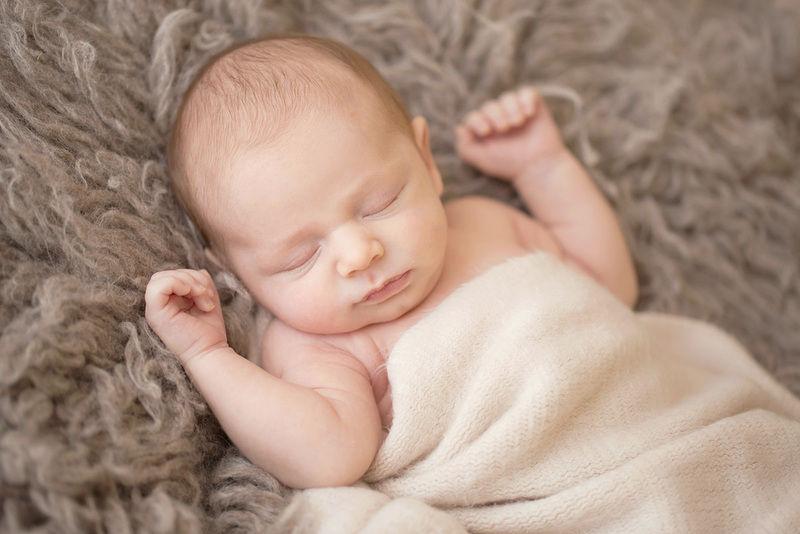 That's why each newborn session always includes a wonderful mix of individual images of your baby, you with them, and those fresh, new baby details. Their tininess, and how they fit perfectly into dad's hands. The feeling of a good baby stretch! The way their little fingers fold while they sleep. The little bend in a pinky finger. Fuzzy wisps of new baby hair that will change so much that first year. So many little details that as parents, we will yearn to relive and enjoy. And so many details that your little one will absolutely delight in looking at with you as they grow up. If you are expecting and looking for a maternity or newborn photographer, I would love to hear from you and begin planning your session. Enjoy exclusive services with our clients' favorite - The Membership Collective - a series of three or four session for your family to document your baby's first year. I take great pride in providing each family with quality customer service from start to finish. My promise will always be to provide you with the most beautiful photographs of the ones you love and care about the most. Because motherhood is the greatest gift. Because motherhood is a treasure. Because motherhood deserves to be celebrated. Because they are our whole world. Your petite session will be 20 minutes and includes styling guidance for you and your child to achieve the perfect look, 5 high-resolution digital files with print release, and one matted 5x7 gift print. Portraits will include you together with your baby/child/teen. Digital files will be selected by Julie. You may choose your gift print from the digital selections. Complete hair and make-up ad-on available for a complete pampering experience. Full gallery upgrade available. Sessions are limited and scheduled on a first come basis. These will be my only petite sessions for 2016. Your petite session will be 20 minutes and includes styling guidance for you and your child to achieve the perfect look, 5 high-resolution digital files, and one matted 5x7 gift print. Portraits will include you together with your (baby/child/teen). Digital files will be selected by Julie. You may choose your gift print from the digital selections. Complete hair and make-up ad-on available for a complete pampering experience. Full gallery upgrade available. Sessions are limited and scheduled on a first come basis. I'm often asked, "When is the best time to schedule maternity portraits?" My answer is almost always, to contact the studio in your second trimester to ensure a date on our calendar. Your best weeks are usually 29-34, unless you are expecting multiples. I can from time to time work in last minute requests, but you wouldn't want to take the chance and miss out on capturing this momentous time in your life, incase your little one arrives a week or two early. When you schedule a session, we take care of it all: complete styling assistance for your perfect look, use of the studio's Motherhood Wardrobe (if you wish), and extra goodies along the way. Professional hair and make up can be scheduled as well. If you are expecting and looking for a maternity or newborn photographer, I would love to hear from you and begin planning your session. You'll love our clients' favorite - The Membership Collection - a series of three or four session for your baby during their first year. My promise will always be to provide you with the most beautiful photographs of the ones you love the most.